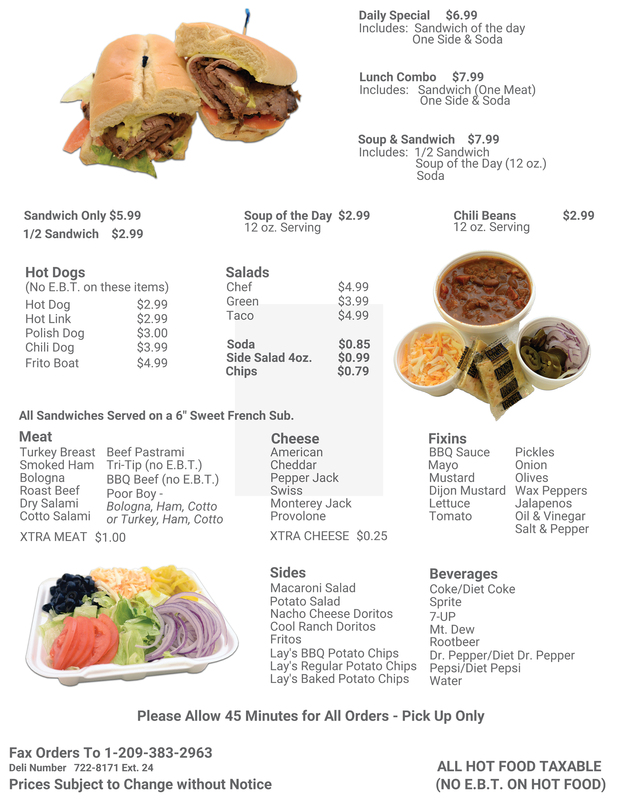 Not only do we provide you with quality meat, but we also have a great deli! Check out some of our popular items, and feel free to fax or call in your order! Deli Ordering Just Got Easier! You can now download and print your deli order form from our website. Just click below to download, then fill it out and fax it to (209) 383-2963. Please allow 45 minutes for all faxed orders, pick up only.